Highland Park, There is Hope! One of our strongest beliefs as a company is to give back and engage in our community. It is so critically important for businesses to learn how to create and set down their roots in areas where they can make the most significant impact. To us at Detroit Bold, being significant is everything. Founder, AJ O’Neil, built Detroit Bold Coffee Company with the vision of being a catalyst for positive change in a city with a bleak outlook. And he chose a neighborhood that was negatively affected the most by decades of an economic downturn, Highland Park. Positive change can happen from just one person. 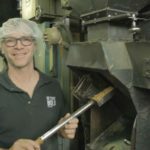 Detroit Bold Coffee Company is proof that one person can make an impact. 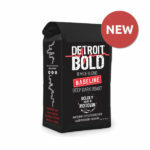 The economic impact of Detroit Bold has created new jobs, helped local charities, fueled hard-working people everywhere, and brought enormous amounts of positive attention to a neighborhood and a city that HAD a bad rep. Things have changed and are continuing to improve. The Motor City works hard. We make things. We have grit because we don’t let fleeting moments get us down. Great people live in Detroit, and as a result of their determination to rebound, great people are now moving in by the thousands! We are so incredibly proud to be DETROIT PROUD, DETROIT STRONG, and DETROIT BOLD. However, our job has just started! “Unless someone like you cares a whole awful lot, nothing is going to get better. It’s not.” – Dr. Seuss. Detroit has not fully rebounded, and there is a much room for improvement. We believe that our job of making a difference and impact in the community has just begun. We are committed to making our delicious hand-crafted, hand-packed coffee that will continue to bring a positive effect on our beloved city. We hope you will join us in our continued efforts by choosing to enjoy our refreshingly smooth, yet BOLD coffee the next time you buy coffee online or at your local grocery store. Thank you Jack Lessenberry for sitting down with AJ O’Neil at AJ’s favorite coney, Red Hots Coney Island. 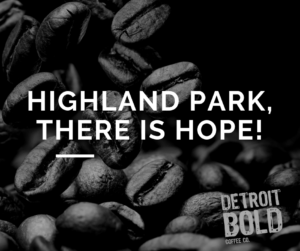 You can read his recent article “Hope for Highland Park?” where he and AJ discuss the past, present, and future of Highland Park. STAY BOLD with our New 8 Mile Coffee Blend!